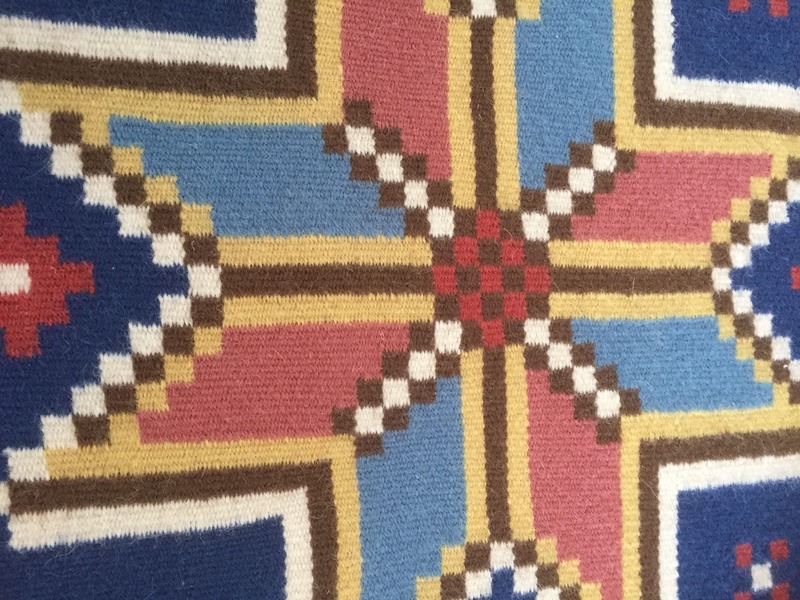 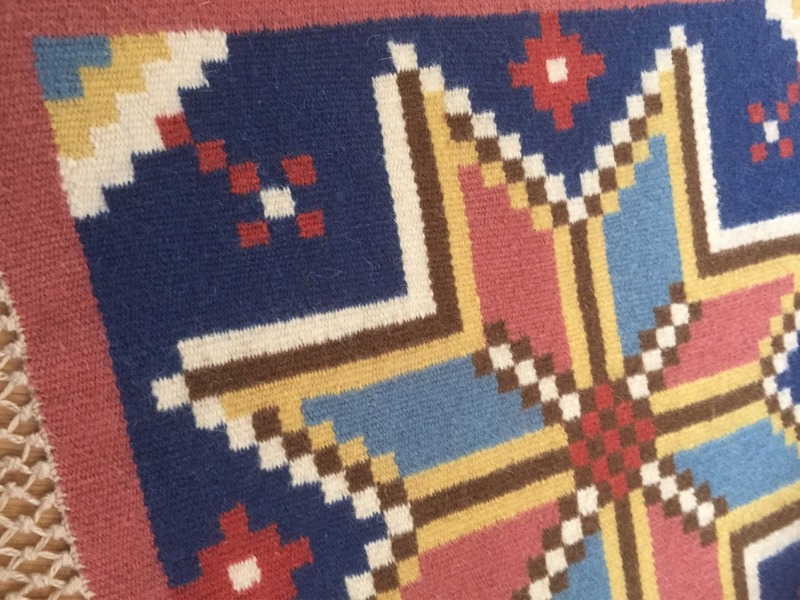 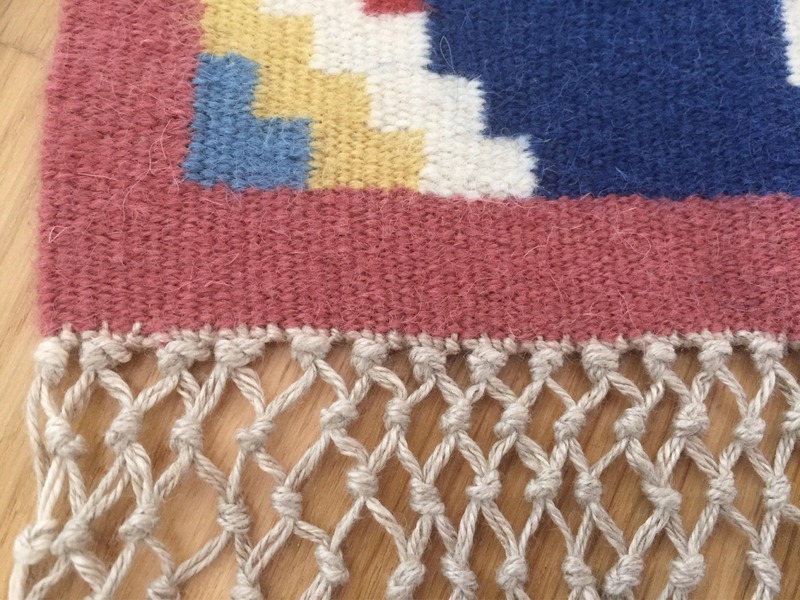 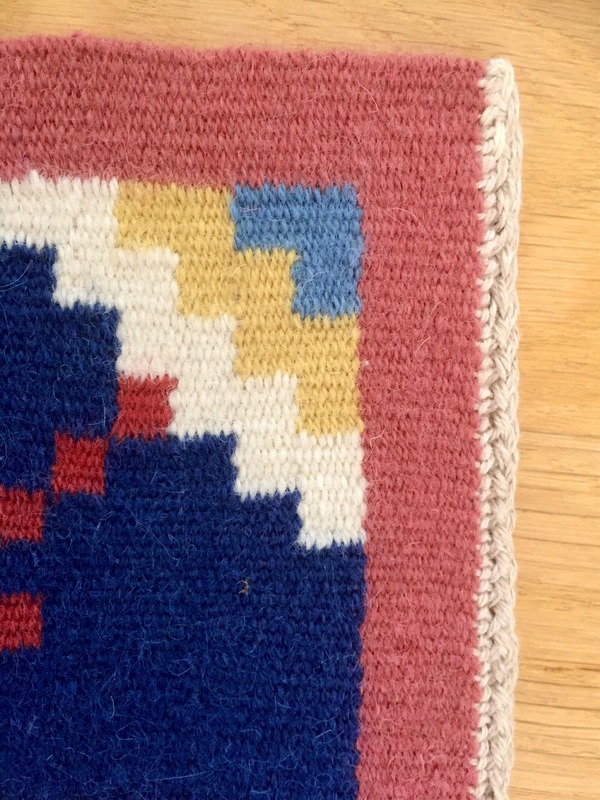 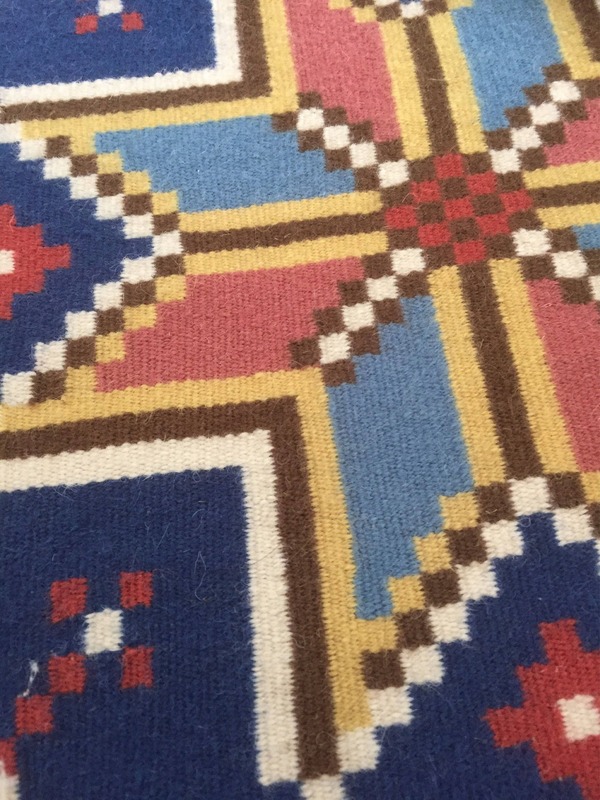 This is a traditional Scandinavian wool loomed wall hanging from the 1960's. 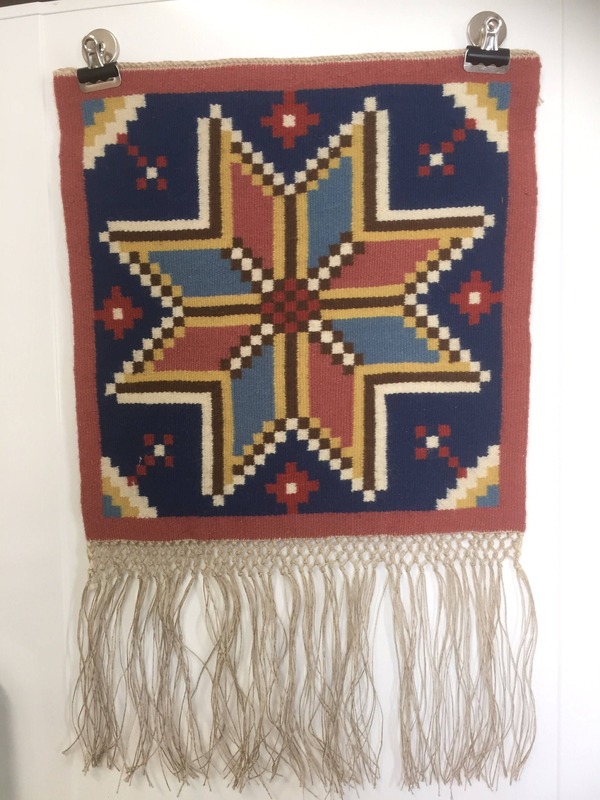 It is in excellent vintage condition and measures 12" long with the traditional Swedish fringe and 8.5" wide. 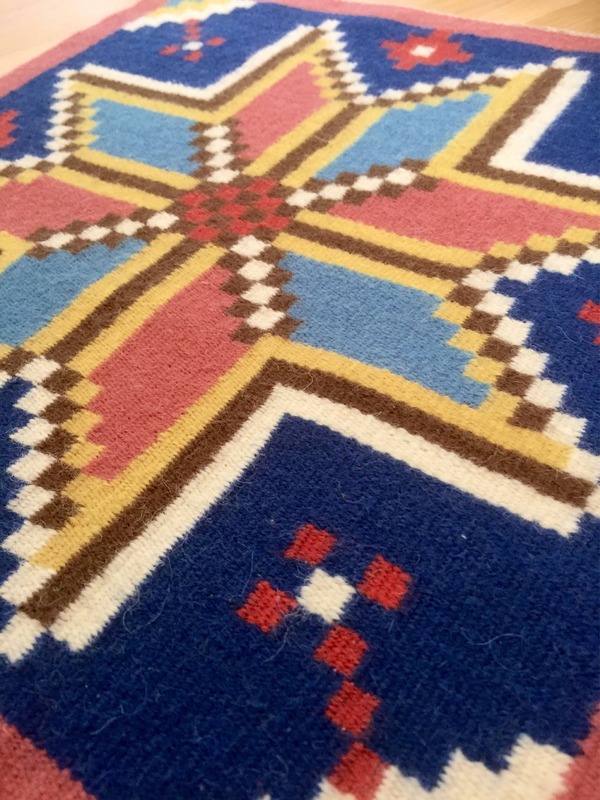 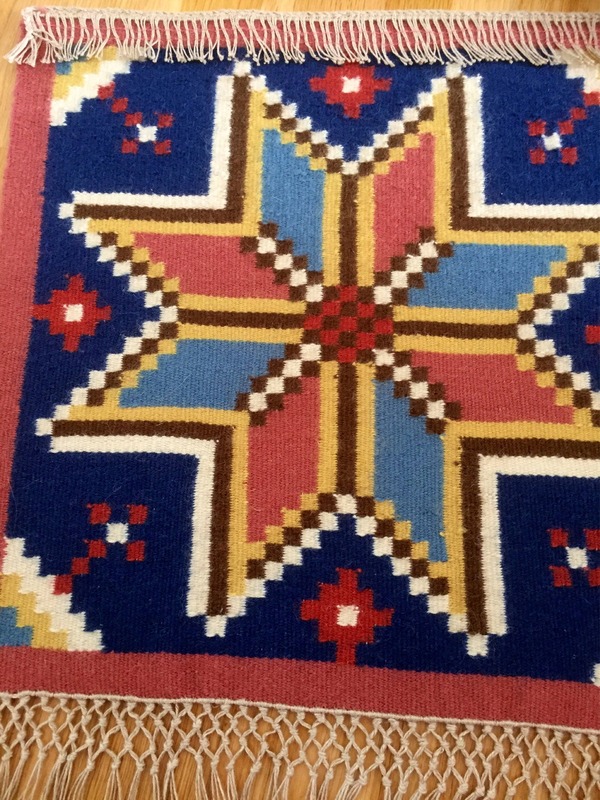 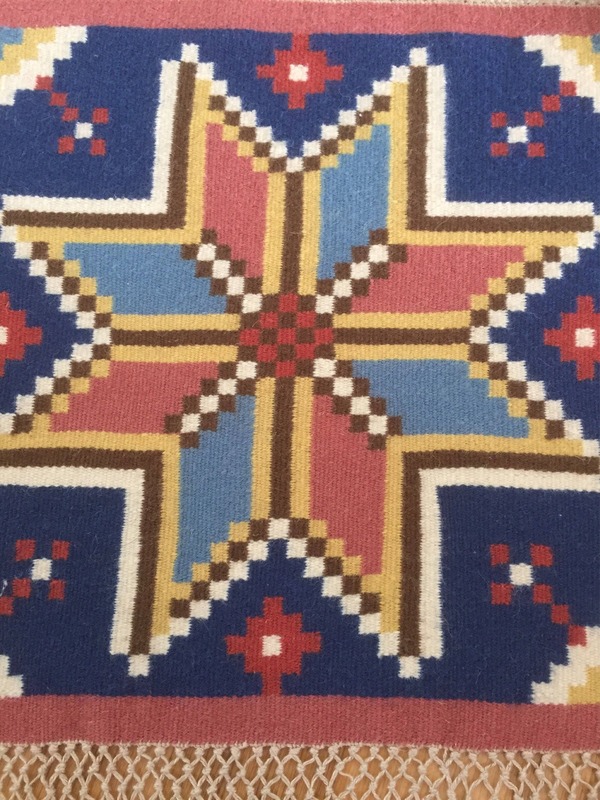 This blue and pink beauty will bring some warmth and texture to your space with this traditional piece of folk art.